Columbus statue in Detroit, Michigan, with a hatchet in his head. NEW YORK — Is it time to say arrivederci to Christopher Columbus? Members of the Musqueam Indian Band and Indigenous professors from UBC blessed and launched a canoe carved from a 350-year-old cedar tree on Saturday as part of a cultural revitalization project. “Yeah I’m a bit out of breath,” said Corrina Sparrow after paddling the boat in the Fraser River off 4000 Musqueam Ave.
Prime Minister Justin Trudeau greets FHQ Leadership (File Hills Qu’Appelle Tribal Council) April 26, 2016. With the recent attention mainstream media has given to the on-going genocide within our communities that is sugar coated as “emergency crisis” and as grassroots and INAC leadership call for an abolishment of the Indian Act we must question and look at some truth’s that can help us find solutions to our liberation. BLACKFOOT MEDICINE MAN. Blackfoot Medicine Man Performing His Mysteries over a Dying Man. 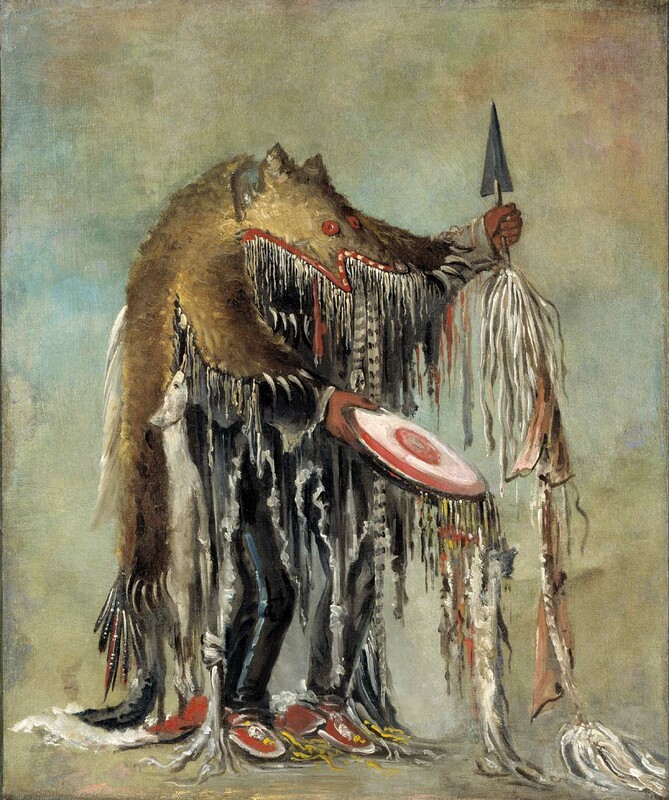 Oil on canvas, 1832, by George Catlin. de·col·o·nize – verb (of a country) withdraw from (a colony), leaving it independent. I notice a lot of talk on “decolonizing.” We must decolonize, people say. HashtagDecolonize. Street art murals with a Native woman standing proud with the word “decolonize” defiantly scrawled on the bottom. I knew the dictionary version, and I liked the idea of it. It’s a challenging, powerful word. But as an Indigenous person, I didn’t know how to apply it to my everyday life. How are we supposed to withdraw from colonization when it permeates through our entire way of life, and has been doing so since colonists stepped foot onto the New World? How does an entire group of people literally withdraw from a colony? INDIGENOUS WOMEN AND TWO-SPIRITED PEOPLE: OUR WORK IS DECOLONIZATION! Indigenous women and two-spirited* people are leading a resurgence movement in iyiniwi-ministik, the People’s Island. * They draw on their traditional roles as protectors of the land and water to inform their work in our communities, and root themselves in their specific socio-political orders to counter colonialism and to revitalize language and culture. 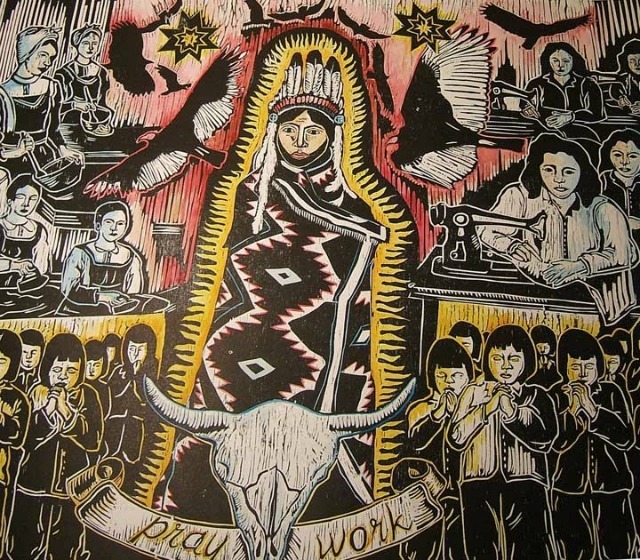 Rather than being defined as a struggle against patriarchal gender roles and the division of labour, Indigenous women and two-spirited people’s work combats the imposition of colonial barriers. The goal is not to attain gender equality, but rather to restore Indigenous nationhood, which includes gender equality and respect for gender fluidity. 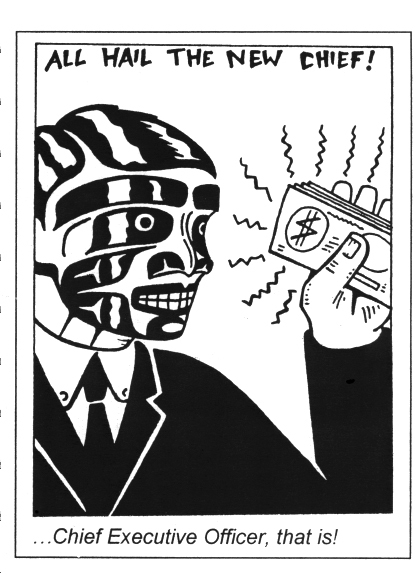 First Nations rights and title claims: Is it legitimate to call it class struggle? An added dimension to the Northern Gateway pipeline fight was a recent landmark Supreme Court of Canada ruling on aboriginal title to ancestral lands. As part of the ruling, the Supreme Court said the government of B.C. had “breached its duty to consult” when it allowed for timber harvesting licenses to forestry companies in Tsilquot’in territory in the geographic center of the province. There was no consultation and no permission granted by the Tsilquot’in for logging done on their territory, and so a lengthy court battle that began in 1983 led to a recent court decision in their favour. Many First Nations believe the Tsilhqot’in ruling will strengthen their land claims and maritime title to the coastal waters through which bitumen-laden super tankers would navigate. The official line from the president and chief executive of Enbridge is that the ruling will have no influence on the future of the Northern Gateway pipeline. But there is some suggestion that fossil fuel companies are worried that this high-court decision broadens First Nations’ rights and title and threatens billions of dollars worth of new projects. The following is a speech by Natalie Knight delivered at “Decolonization 101,” a panel organized by Streams of Justice on June 2, 2014. The panel took place at Grandview Baptist Church, Unceded Coast Salish Territories. I want to acknowledge that we are on occupied and unceded Coast Salish territories which are Tsleil-Waututh, Musqueam, and Skxwú7mesh-ulh Úxwumixw lands. On February 26 of this year, an Inuk woman named Loretta Saunders was found murdered and dumped on the side of the road in Salisbury, New Brunswick. Her death raised a national conversation about violence against Indigenous women. It is a deeply sad loss, and an acute effect of colonialism. And I also wonder about the reasons why Loretta received a more mainstream response than others or those that can’t even be reported, those deaths that are basically sanctioned by the police. Loretta was in university and maybe it was easier for Canada’s white-dominated society to recognize her and her violent absence. Maybe an Inuk woman who goes to university is more comprehensible than the over 1,000 missing and murdered Indigenous women who have been documented in the recent RCMP report, and the many Indigenous women still in certain shadows, including those missing and murdered below the colonial border.